Program Interface reference, sample of using. 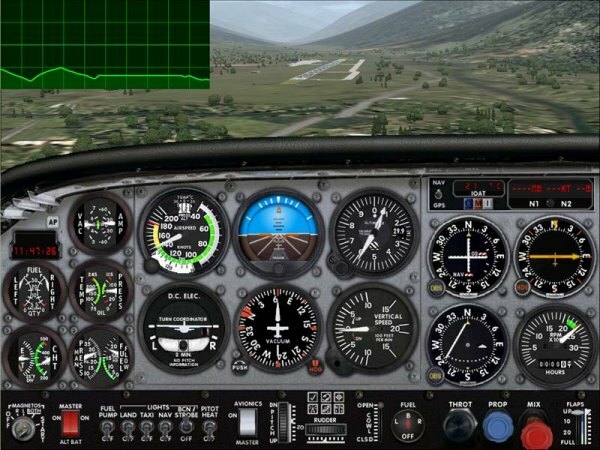 DBS Profile Radar present to any aircraft in Flight Simulator feature of preview terrain relief before aircraft. 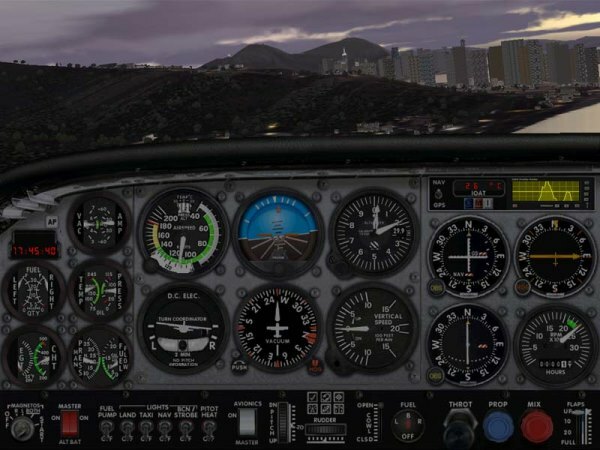 Profile Radar can be used as standalone window (left window on screenshot) in any aircraft and any view (cockpit, virtual cockpit, external view, tower view) and adjustable throught configuration window or can be used in XML gauge and configurable throught XML variable (right window on screenshot). 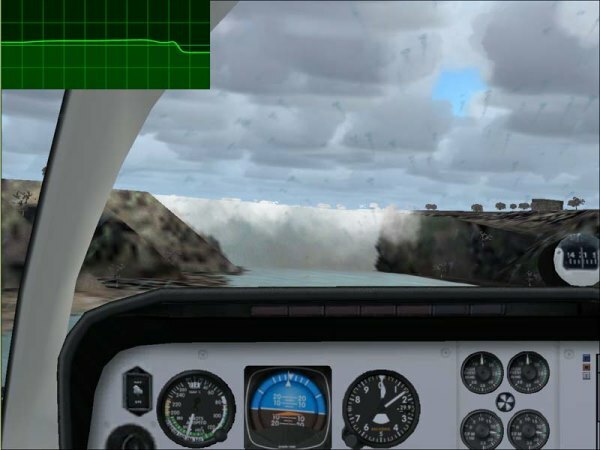 Profile Radar is a new generation of flight-safety tools and can be assist to pilot on a low-altitude flight over strong terrain relief (bush flying, visual approach in bad wheater conditions, helicopter operation etc.). 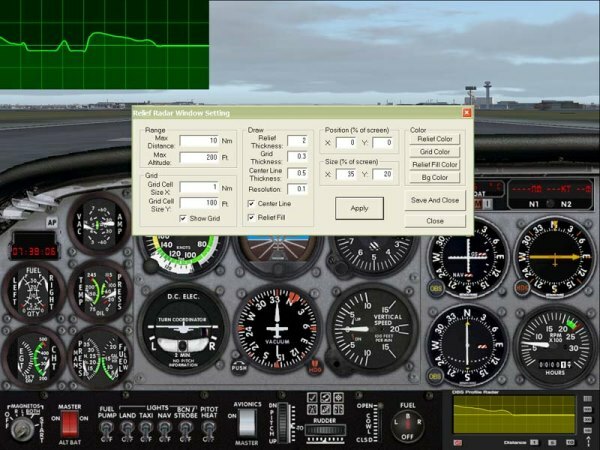 Profile Radar have documented program interface and can be implemented into any aircraft in Flight Simulator like internal GPS or can be used as allways-visible window on predefined screen place. 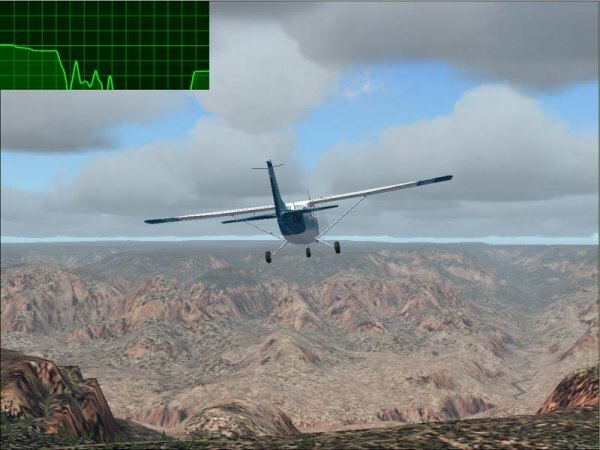 Profile Radar display window can be configured to use different colors on background, terrain relief, grid lines. Maximum range is 25 nautical miles (can be adjusted to any distance between 0.1 - 25 nm) and altitude range can be variabled between 10 - 3000 feets. 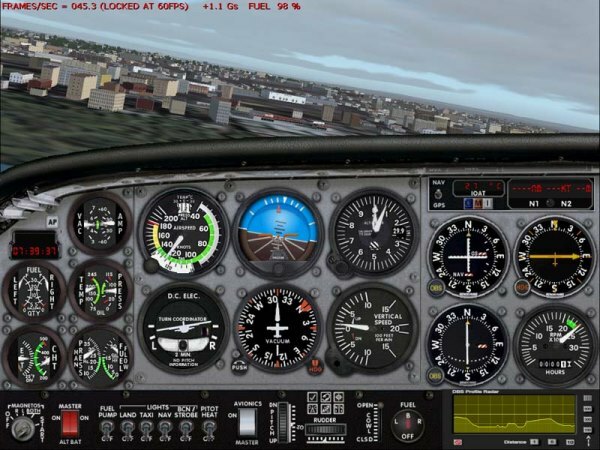 Radar resolution can be variable to low for better performance or to high for detailed relief drawing. Grid lines and aircraft altitude line can be hide. Grid resoltion can be adjusted to any distance between horizontal/vertical grid lines. With this configuration settings Profile Radar display can simulate most of real relief radars.